The traditional and Australia’s favourite Passata cooking sauce made from fresh tomatoes. Val Verde passatas and pasta sauces are made to a traditional Italian recipe using 100% Italian tomatoes, producing a rich and thick consistency. Try using them in slow cooking, as a base to pasta sauces and sauces- simply by themselves or with ingredients added. 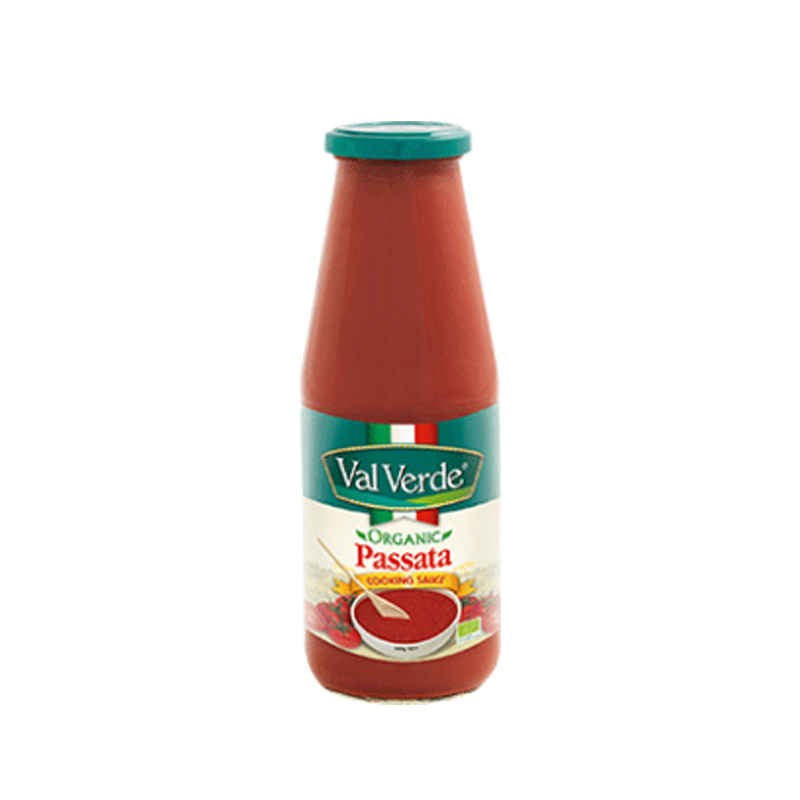 Val Verde Passata is Australia’s number one Passata! Simmer & Serve is a full flavoured, slow cooked simmer sauce full of richness and tradition.